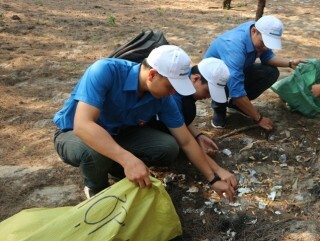 A ceremony to celebrate Vietnam Teachers' Day was held by Hue University on the morning of November 15. The event was attended by Mr. 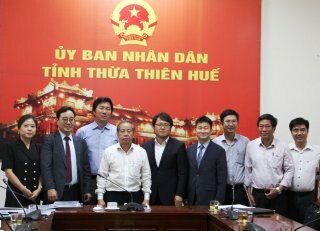 Le Truong Luu, Secretary of the Provincial Party Committee; Mr. Nguyen Dung, Vice Chairman of the Provincial People's Committee. Speaking at the ceremony, Mr. 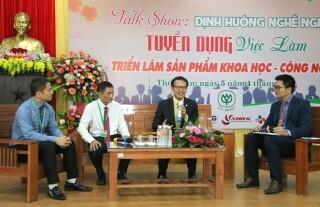 Le Truong Luu acknowledged the contributions of staffs and lecturers of Hue University in recent time. 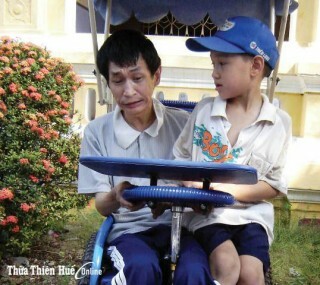 At the same time, he wanted the lecturers, professors and associate professors to accompany the province; and take initiative in coordinating with provincial sectors and localities to study, apply and transfer scientific advances in information technology, environmental technology, hi-tech agriculture, processing industry, conservation technology of Hue cultural heritages, and medicine, etc. At the ceremony, Assoc. Prof. Dr., Excellent teacher Nguyen Van Toan, former Director of Hue University was awarded the First-Class Labor Medal of the Vietnamese President; Assoc. Prof. Dr., Excellent teacher Le Van Anh, former Vice Director of Hue University, and Prof. Dr., Excellent teacher Le Van Thuyet, former Head of Training Department of Hue University were awarded the Second-Class Labor Medals. Hue University also commended and rewarded the talents of the year 2018 to six research groups and 192 individuals with the total reward being over VND 1 billion.